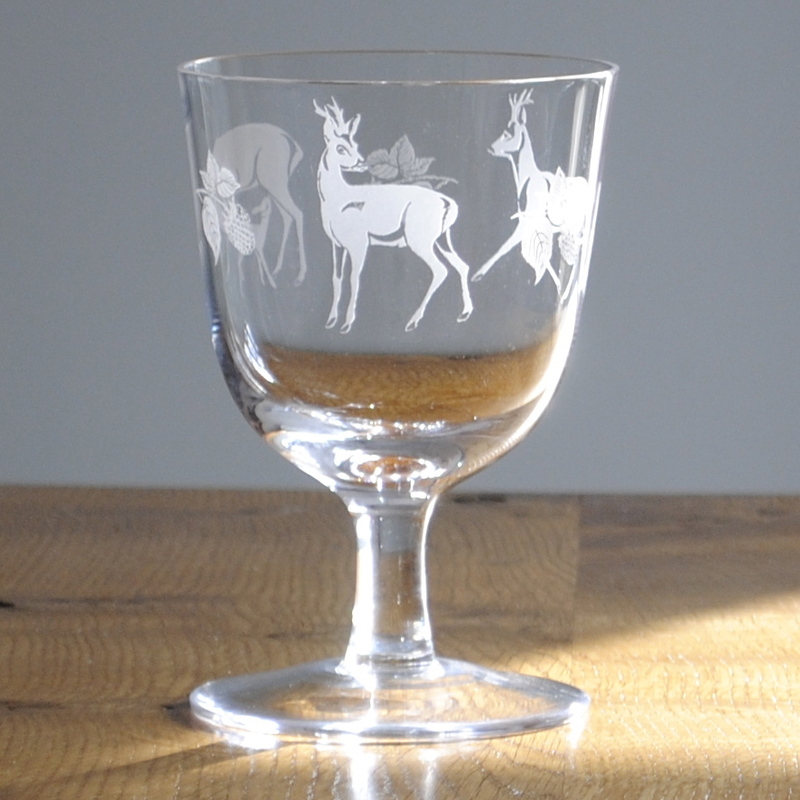 Clarissa This new design for the Clarissa stemmed glass of Roe deer was slow in coming as my husband has written on the subject of Deer management and is most passionate about the Roe and consequently a harsh judge of my designs! Clarissa is a lovely shaped glass, homely and pleasing to the eye and hand. 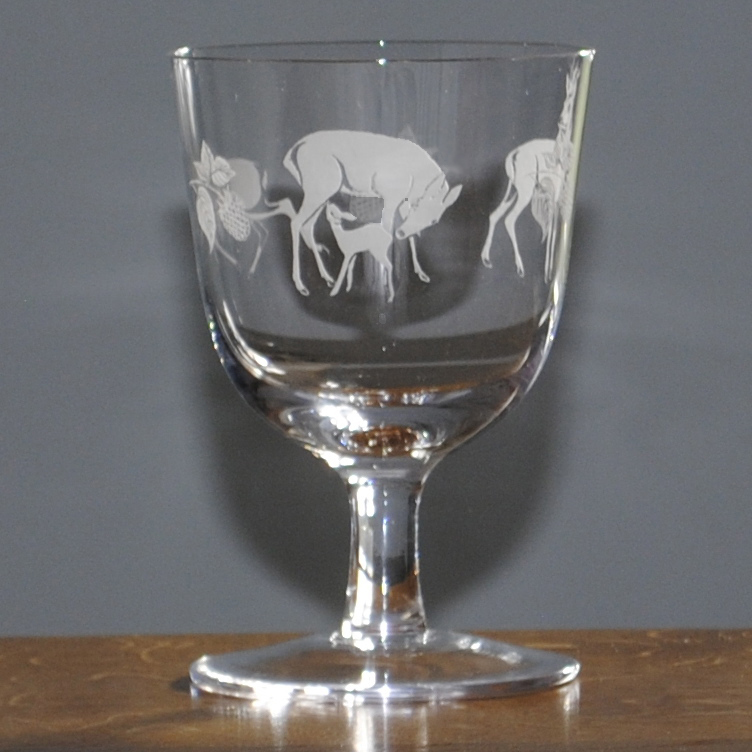 Hand made exclusively for us the Clarissa glass will continue to be engraved with new designs in the future. But don’t worry we will continue to engrave the old favourites.On this glass there are 3 Roe designs engraved around the glass separated by small engravings of Bramble. The country side designs for the Clarissa are increasing year on year and have become most collectable, I hope this will be a favourite. You now have the choice to buy the Clarissa engraved with Fallow deer, Pheasants, Salmon, Fox hounds, Racehorses and Whippets. Mix and match or start a collection of your own, and don’t forget all can be personalised for that extra special present.